She said that the public have a right to know where public money is going. MINISTER FOR SOCIAL Protection Joan Burton said today that the Fine Gael advisor Frank Flannery “should make himself available” to the Public Accounts Committee. Speaking on RTÉ’s The Week in Politics programme she said the Rehab group have to decide on a policy of disclosure, stating that she first heard about the controversy surrounding Flannery in media reports. Burton added that Ireland has a “long and valuable tradition” of charities being involved in services and said she beleived the whole charity sector needs to be examined so that the public know where money is going. Fianna Fáil’s Michael McGrath said he believed the whole Rehab debacle had been badly handled, stating, “of course he should go in and answer any questions” by the PAC, he said. Email “Joan Burton: 'Flannery should make himself available to the PAC'”. 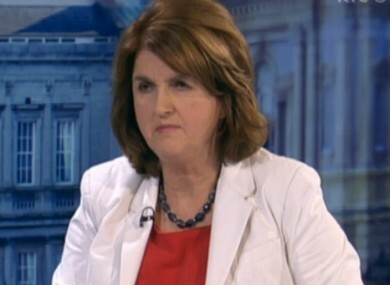 Feedback on “Joan Burton: 'Flannery should make himself available to the PAC'”.